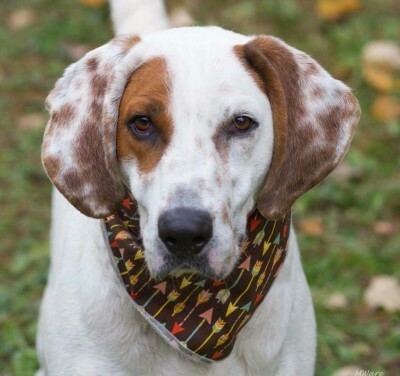 Copper is an energetic young Coonhound/Setter mix looking for his forever home. At 4 years old, he loves to run and play as much as he can. He would love a home with a yard to run around in and lots of toys to keep him busy. He is still working on his basic house manners after coming out of the shelter, but he is eager to please! Copper absolutely loves to play with other dogs! His ideal home would have a physically fenced yard, and another dog to play with! Add your e-mail to the Pack Post and we promise no spam, just snuggles and wags! Stay Connected to the Pack!